Urology Service Chief James Eastham says men should seek out a highly experienced surgeon with whom they feel comfortable discussing treatment options. Surgery can cure prostate cancer if the disease hasn’t spread outside of the prostate gland. The most common procedure is a radical prostatectomy. It can be done as traditional open surgery or in a minimally invasive approach, including robot-assisted laparoscopic surgery. Regardless of method, the most important factor is choosing a surgeon with extensive expertise to get the best results and reduce the risk of complications. Prostate cancer is the most common form of cancer in men after skin cancer. Surgery is very effective at controlling or curing the disease. 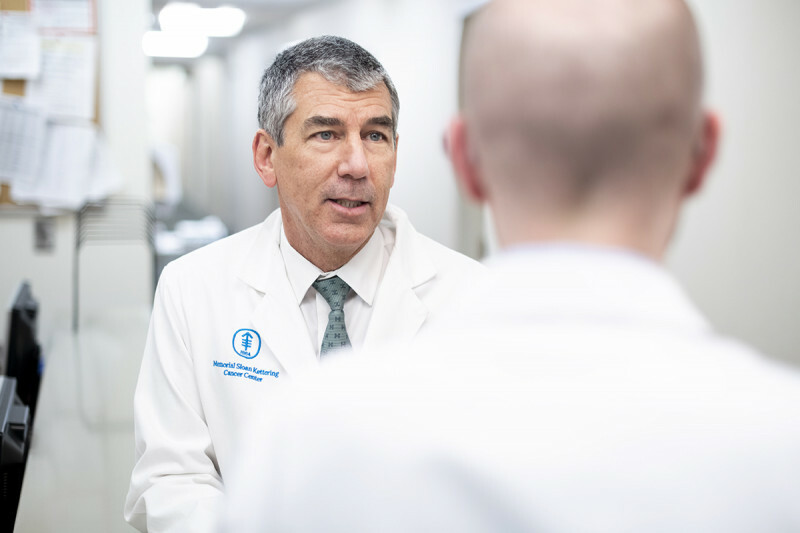 We spoke with James Eastham, Chief of Memorial Sloan Kettering’s Urology Service, about different ways of performing prostate cancer surgery, the side effects that may be involved, and the importance of having an experienced surgeon do the procedure. When is prostate cancer surgery most effective? Surgery is a curative treatment for prostate cancer when the disease has not yet spread to organs or tissues outside of the prostate gland. In these instances, the long-term prognosis is excellent. If the cancer has spread beyond the prostate, we can still achieve good outcomes with radiation therapy or systemic therapy following surgery. This includes chemotherapy, hormone therapy, biologic therapy, or immunotherapy. Some people whose disease is confined to the prostate choose not to have — or at least to delay — surgery. We monitor them closely, a strategy known as active surveillance. This choice is a joint decision between the doctor and patient. It is best for small tumors that are growing slowly and are considered at low risk of spreading. For each patient, it is a personal decision. The most common one is called a radical prostatectomy. In this procedure, the entire prostate gland is removed, along with some of the surrounding tissue. In some cases, nearby lymph nodes are removed as well. There are several surgical approaches for this, including traditional open surgery. We can also use minimally invasive procedures, such as laparoscopic surgery and robot-assisted laparoscopic surgery. A critical aspect of a radical prostatectomy is tailoring it to the individual features of each man’s cancer. One size does not fit all. This means the exact same procedure is not appropriate for every person. The location, size, and other features of the cancer are considered to design an operation that is appropriate for the person. A radical prostatectomy is very complex and requires a high level of technical precision. In a laparoscopic radical prostatectomy, a surgeon inserts a tiny camera called a laparoscope through a small cut in the abdomen. The camera gives doctors a magnified, high-definition picture of the prostate gland. With that image as a guide, the surgeon can remove the prostate, seminal vesicles, and lymph nodes using special tools. To do a robot-assisted procedure, a surgeon sits at a console that has a screen as well as hand, finger, and foot controls. The surgeon’s hand, wrist, finger, and foot movements control the robotic instruments inside the patient in real time. The robot is really just a very sophisticated surgical tool. The most important factor in a successful surgery is the skill and experience of the surgeon, working with the tool that he or she is most comfortable with. The main objective of any cancer operation — no matter how it is done — is to get all of the cancer out and get it out safely. What should people know about the potential complications or side effects from a radical prostatectomy? A radical prostatectomy is very complex and requires a high level of technical precision. The prostate is surrounded by nerves and structures that are important to normal urinary and sexual function. Men who have this procedure are understandably concerned about the possibility of complications that affect longer-term quality-of-life issues. These can include urinary control, also called urinary continence, and changes in sexual function. Learn why MSK’s outstanding care for prostate, bladder, kidney, and testicular cancers resulted in U.S. News naming it one of the best hospitals for urology. Over the past few decades, technical refinements have dramatically reduced the number of complications with this surgery. At MSK, we’ve found ways to use the results of imaging tests when planning a surgery. Then we can avoid injuring important structures, which minimizes the risk of incontinence and maximizes the chance of maintaining sexual function. We continue to look for ways to further minimize the risk of side effects. Studies have shown that patients of surgeons who regularly perform radical prostatectomies have fewer complications on average than those who do these surgeries less often. I myself have performed more than 3,000 radical prostatectomies. The other MSK surgeons also have vast experience in this procedure. It’s always a balance between removing the cancer and trying to preserve function. The balance is different for each person because each cancer is different. People need to ask questions and be clear about their expectations. 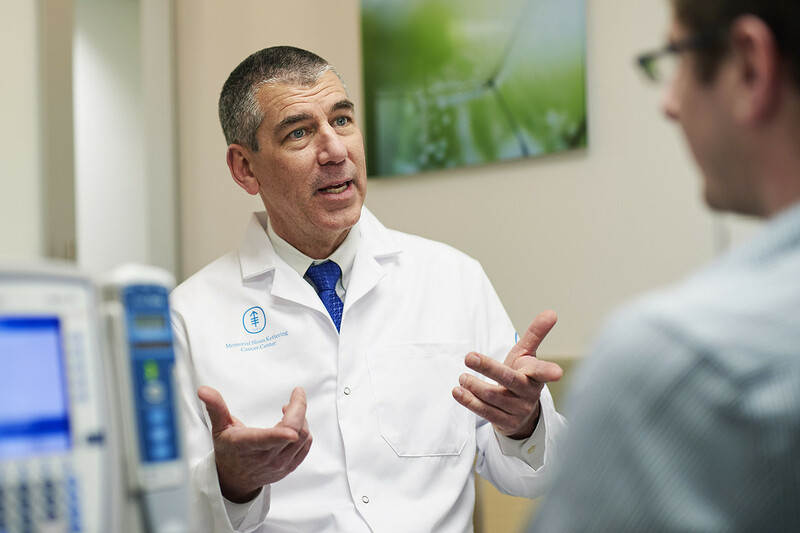 One of the benefits of a place like MSK is that we have experts who can help guide men with prostate cancer in regaining their urinary and erectile function. Ultimately, it’s about finding a surgeon with whom you feel comfortable, someone who sets realistic expectations based on your situation. How can you claim protatechtomies are curative, while the best evidence we have is that they they have a national 3% cure rate in men with a PSA of 4 or more? If you think not, tell us your protatechtomy cure rate, right here, right now, or I say you are liars who intentionally ignore even your own extensive data base facts. In general, the “cure rate” is defined as a non-detectable PSA blood test after surgery. At MSK, for typical patients, 80% are free of PSA recurrence at 5 years. This is based on more than 10,000 patients. It’s important to note that our patients are at higher risk than average due to our active surveillance program. Is the 4Kscore test relevant? Does it really indicate whether or not one needs a biopsy? My urologist wants me to have a biopsy based on the 4Kscore. Dear Jim, we are not able to answer personal medical questions on our blog. If you’re interested in arranging a consultation with someone at MSK to discuss whether to undergo a biopsy, you can call 800-525-2225 or go to https://www.mskcc.org/experience/become-patient/appointment for more information on making an appointment. Thank you for your comment, and best wishes to you. Dear Robert, if you would like to make an appointment with Dr. Eastham or another one of our urologic surgeons, you can call 800-525-2225 or go to https://www.mskcc.org/experience/become-patient/appointment for more information on making an appointment. Thank you for your comment, and best wishes to you. I have been diagnosed with Prostate Cancer and as such have been researching this disease. I had a Biopsy, PSA blood tests, MRI contrasting and non contrasting, as well as a contrasting Full Body Bone Scan. My Urologist has provided a Surgeons contact information as well as a radiation Oncologist information. I would like a second opinion. Getting through on your phone is frustrating. That concerns me as I believe high volume care brings better results, but being difficult to speak with a person prevents good decision making . Dear Robert, we’re sorry to hear you’re having trouble getting through directly to the doctors on the phone. If you would like to come to MSK for a second opinion, we recommend that you try calling our Patient Access Service. The number is 800-525-2225. You can also go to https://www.mskcc.org/appointments/request-appointment to schedule an appointment online. Thank you for your comment, and best wishes to you.